H&T Presspart is pleased to announce that we have won the award for ‘Most Impact on Healthcare Community’ at the GlaxoSmithKline (GSK) sponsored 2018 Active and Intelligent Packaging Industry Association (AIPIA) World Congress Challenge. The ‘Challenge’ saw 21 companies presenting various smart packaging solutions, ranging from secure and unique identifiers through to smart connected devices, to a GSK Jury lead by Sriman Banerjee (Head of Packaging – Global Respiratory Category). The jury also included ladies and gentlemen from across all 3 of GSK’s global businesses that research, develop and manufacture innovative pharmaceutical medicines, vaccines and consumer healthcare products. Dr. Benjamin Jung, H&T Presspart’s Program Manager Connected Devices, pitched our smart connected device technology in just four minutes to the judging panel and an audience of over 250 people. The pitch highlighted how the technology could be used across GSK’s range of respiratory drug delivery devices to improve adherence and patient outcomes. During the challenge, the panel were looking for active and intelligent packaging companies to show how disruptive technologies can offer routes to better consumer interaction and engagement at retail shelf and via e-commerce channels. In addition, GSK wanted companies to show how active and intelligent packaging can add value and patient compliance, for example with localised alerts on allergen and pain triggers. 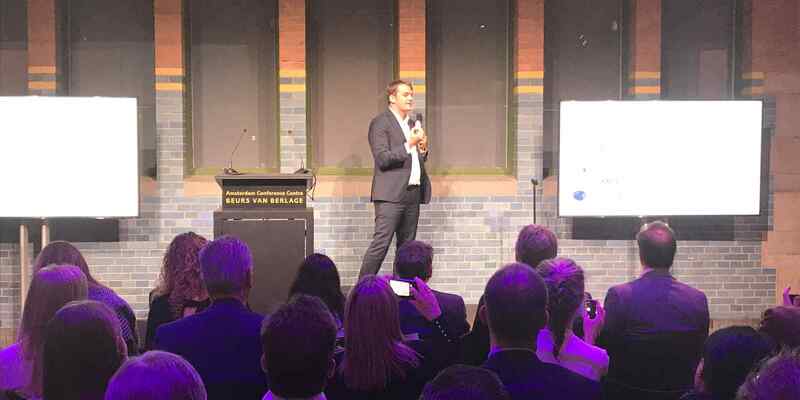 The AIPIA Conference was held in the Beurs van Berlage, one of the most important historical buildings in Amsterdam, which has been the site of a stock exchange since the 17th Century. With over 400 years of history as a place of business, what better location to hold a conference on active intelligent packaging and the future of the pharmaceutical packaging. 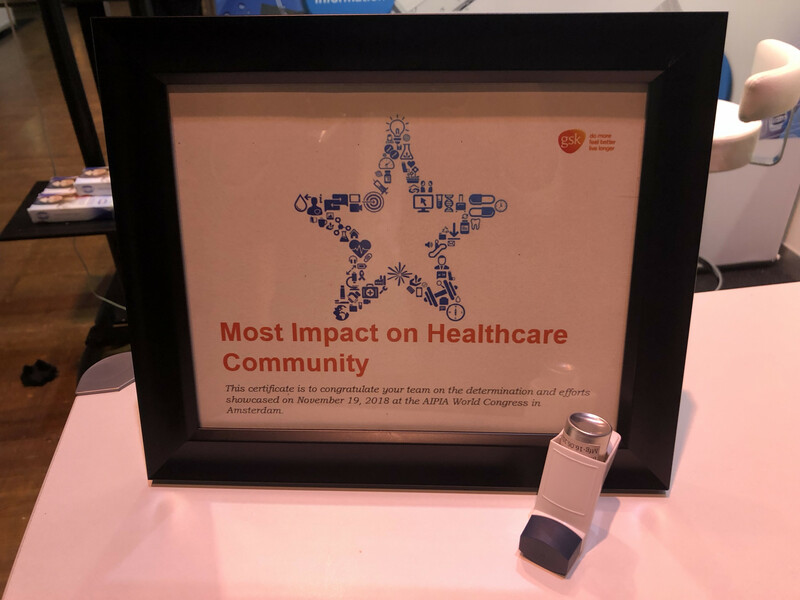 We are extremely pleased to win this award of ‘Most Impact on Healthcare Community’ which highlights the focus H&T Presspart is putting on smart technologies. Smart respiratory drug delivery devices are the future of improving patient adherence and will help create large savings and efficiencies in patient healthcare. Finally, we would like to thank Benjamin Jung and Jan Henke for representing H&T Presspart and creating and delivering the winning presentation.